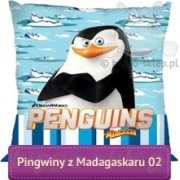 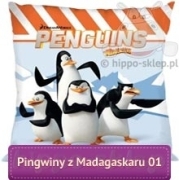 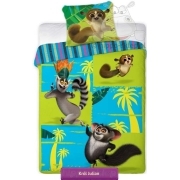 Fitted sheet Penguins of Madagascar with theme from Nickelodeon animated series and movie with four penguins: Skipper, Rico, Kowalski and Private. 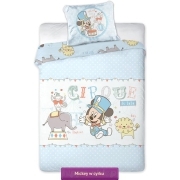 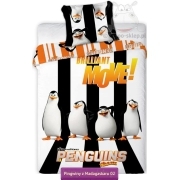 Kids bedding fitted sheet size 90x200 cm with penguins from official DreamWorks Nickelodeon merchandise, made of 100% cotton, Oeko tex standard 100 certified. 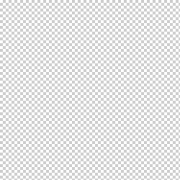 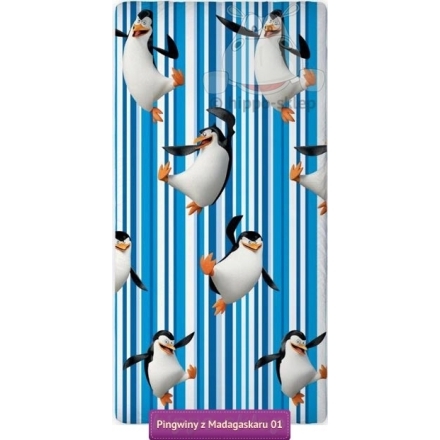 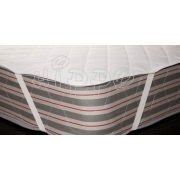 Fitted sheet with jumping Penguins of Madagascar in blue and white strips suitable for any of bedding set from Penguins collection.